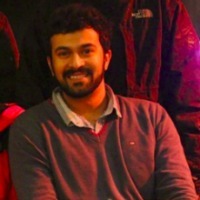 I am Sid (Siddharth Prakash Rao), a security and privacy researcher, FOSS enthusiast and a public internet technologist. I live in Helsinki, mostly tinkering with my terminal. If you happen to stumble across this website, may be you should head to the about page to begin with. I take pride in mentioning my alma matre. My formal education background can be found here. Besides being busy in the university campus, I have had opportunity to work outide the academia. My research publications in peer-reviewed academic conference as well as manuscripts can be found here. Here is the list of all academic courses that I have taken as part of graduate and doctoral studies. University affiliation allows me to learn by teaching - either as a course assistant or instructor. I enjoy networking with my peers by attending interesting events to seek insight on new ideas and potential collaboration. I am not a software developer! However, the codes/scripts I've written for various projects are available as free and open source. Here are some pointers to useful resources such as academic blogs, articles, papers and tools.